Herbal Science is a contract manufacturer of herbal preparations, health food, nutritional supplements and natural cosmetic products based in Petaling Jaya, Malaysia. • Herbal Science to gain from fad in health food. • Herbal Science adds production lines to meet growing demand. In operation since 1995, Herbal Science factories have been built on a strong foundation based on the highest of quality standards, and complies with Good Manufacturing Practice (GMP) principles as mandated by the Malaysian Drug Control Authority (DCA). Originally founded by a husband and wife team of 2 pharmacists with over 60 years of combined experience, Herbal Science’s management team has expanded to include staff with wide-ranging expertise and qualifications ranging from food technologists to chartered accountants. As an OEM manufacturer, our products are made according to customer specifications. A full-fledged in-house team of highly qualified pharmacists, chemists, nutritionists, bio-technologists and microbiologists is at the disposal of our customers seeking further advice on product and Malaysian regulatory matters. Most dosage forms are available. 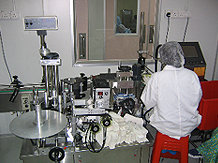 We can make products in capsule, tablet, sachet, blister pack, gel and liquid forms. 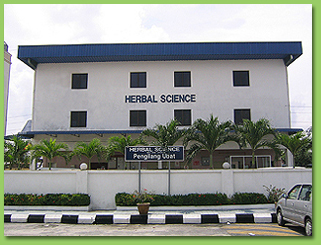 Herbal Science’s three factories are situated in Taman Medan, Petaling Jaya in the state of Selangor. Herbal Science is proud of having a significant part to play in the creation of several products with “Superbrands” status in Malaysia and Singapore. 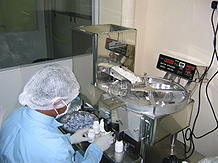 Our focus is to achieve the best of quality standards in our quality control and production process so that when anyone goes into a pharmacy to buy herbal products, all they would have to do is to look out for the name of Herbal Science under the manufacturer’s name on the product label to be ensured of a good product. Herbal Science’s products are currently sold under the distributor’s own brand name, for example, VitaHealth, Cosway, Bio-Life, Total Health Concept, Bio Young, in leading pharmacies and through direct selling companies. • One of our Tableting machines in the midst of production. 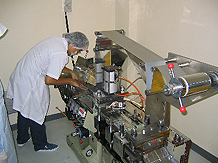 • One of our Capsulating machines. 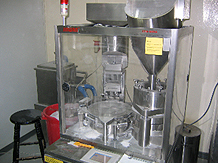 • One of our Tablet and Capsule Counting machines. 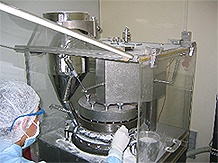 • One of our Sachet fillingmachines in the midst of production. 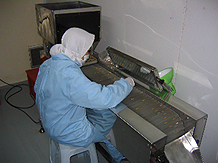 • A technician working on one of our Blister Pack machines. • Each and every capsule that is produced by Herbal Science is examined to ensure consistency of the encapsulation process. • Our Ink-Jet machine prints the batch number and expiry date records on our products.